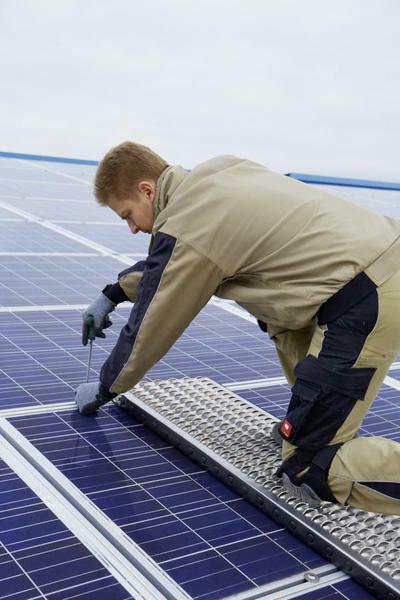 Basically manufacturers of solar modules prohibit from entering the modules, because a point load so-called micro-cracks can cause the solar cell. 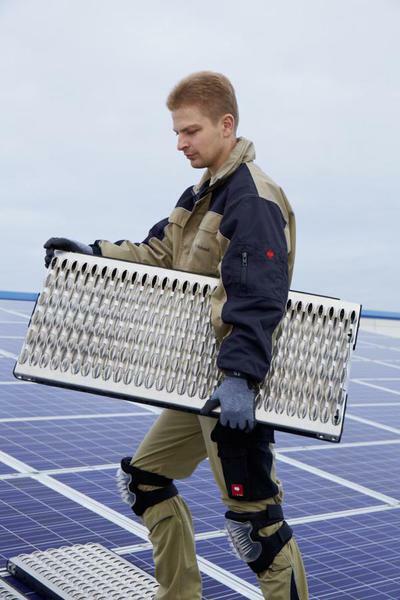 The result: The efficiency of the solar cells is reduced and there is a dramatic loss of performance. The SMB® SOLAR MULTIBOARD distributes the weight of the fitter evenly throughout the solar module and prevents this point load. 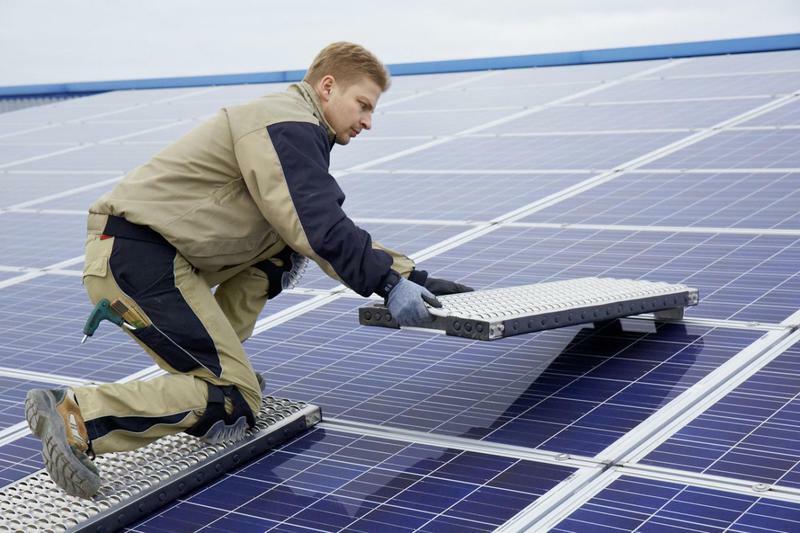 Due to its special surface structure, the SMB® SOLAR MULTIBOARD provides a stable platform on solar modules and reduces the risk of crashes significantly. Perfect protection for you and your staff! 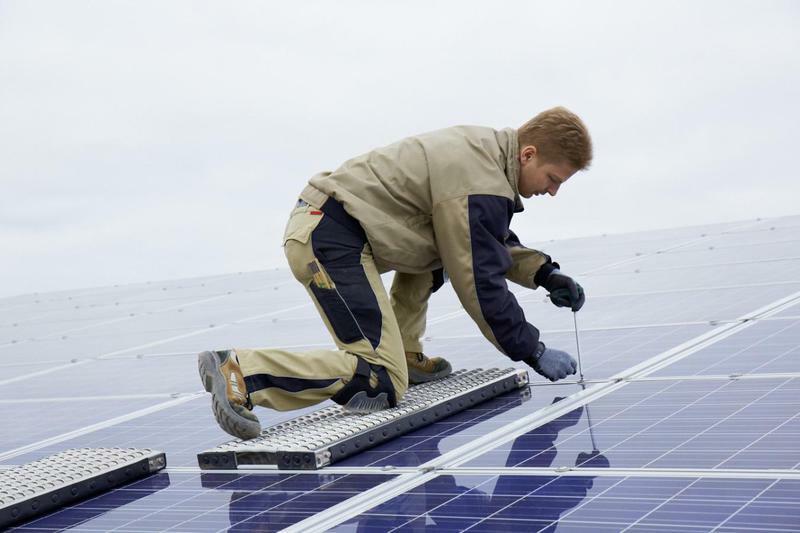 The SMB® Solar Multiboard is easy to handle and efficient to use, saving you time and money. Purchasing Solar Multiboards for your company represents a sustainable investment. As well as the safety aspect, the waterproof, UV-resistant SMB® Solar Multiboard is very lightweight but extremely rigid, making it practical to transport and easy to handle on solar installations. SMB® Solar Multiboards are available in two sizes designed to fit solar panels. Special sizes are available on request. For small PV systems , the use of at least 3 boards is recommended . For larger PV systems should be used at least 4 , better 5 boards.